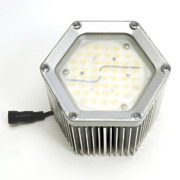 Using LED luminaries not only saves you money, it also contributes to saving the environment. There are no filament or glass components. This reduces risk of failure and also contributes to safer conditions by producing low heat and eliminating glass related industrial lights contain Mercury Gas. 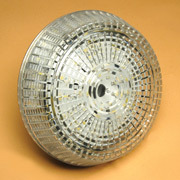 LEDs do not - eliminating hazard and limiting disposal costs. 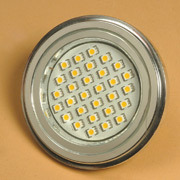 In normal operating conditions, LEDs are rated for up to 50,000 hours. That’s nearly 6 years of continuous use, or around 11 years at 50% operation. Compared to the 5,000 hour rated incandescent bulbs, the difference is more than measurable. 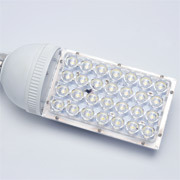 LEDs save money with their long life, and also save money with low heat output. Think of the reduction in energy costs. LEDs don’t just burn out like other lamps. Diodes gradually produce lower output over many years. When one fails, you do not have to change the entire fixture. 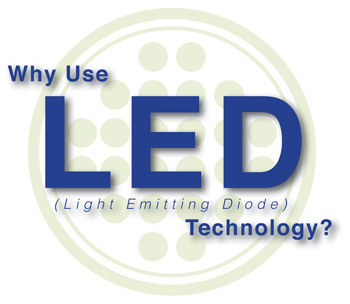 When lighting your street, outdoor area, parking structure, factory, workspace or general interior space - whether for security or illumination - consider the money and environmental savings of LED technology. 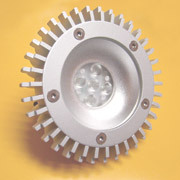 Most TRAALITE Fixtures are LED Compatible.